**NEW PICS FROM 4/19/19 Investors dream. 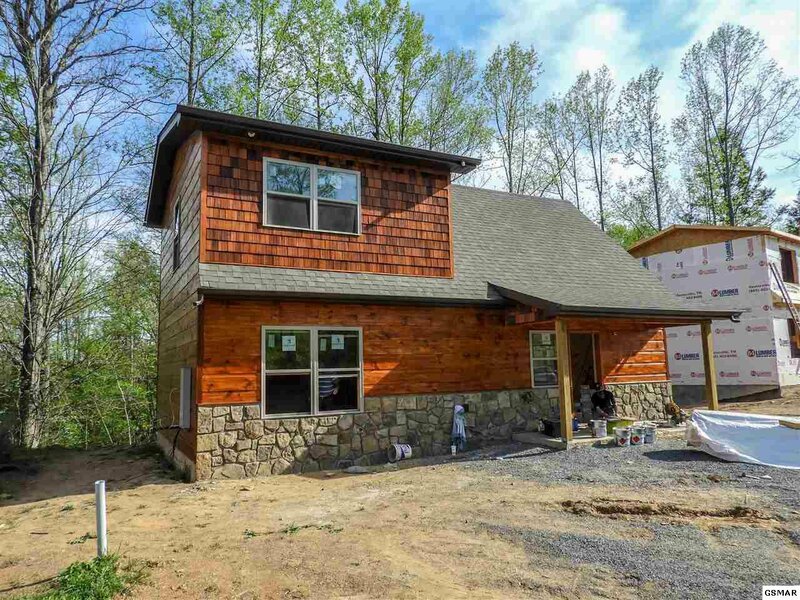 Brand new construction that is turnkey in the city limits of Gatlinburg for under $350,000!! Located just 5 minutes from the Rocky Top Sports Complex and 10 minutes from downtown Gatlinburg. This is not your run of the mill cabin. 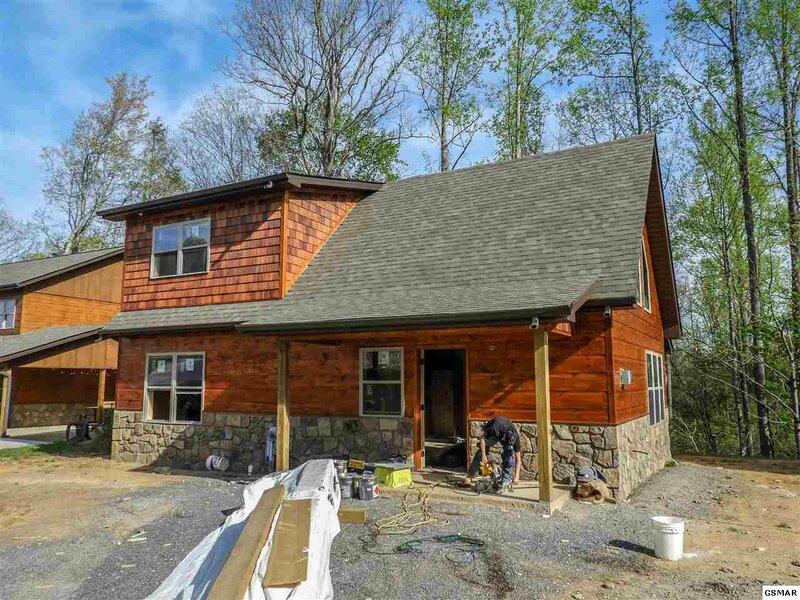 The exterior features 12" hand hewn wood siding, cedar shake, and real English Mountain stone. Flat lot with flat parking. The interior is wood throughout and features both 12" and 6" tongue & groove walls and ceilings, Mountain Stone fire place from floor to ceiling, 7" hard wood floors, leathered granite countertops in the kitchen and bathrooms, and Poplar wood bark accents that will set you apart from the rest. Floor plan offers an open concept with cathedral ceilings in the living room just off the full kitchen with upgraded cabinets, Stainless Steel appliances and leathered granite counter tops. One full bedroom with a King size bed and full bath is located downstairs and the second bedroom with King size bed and full bath is upstairs off the loft area. The loft will be outfitted with a sit down multi-cade system and foosball table. The back deck will also feature a 4 person hot tub. This cabin is built with energy efficiency in mind. All walls are insulated with cellulose insulation (seen in pictures) as well as spray foam in the ceilings. Between the insulation package and the high efficiency HVAC, your energy bills should be very attractive. No propane here! The gas log fire place is run off Natural Gas. Cabin is on city water and sewer as well. Again, cabin will be fully turn key and will perform at a high level on most rental programs. 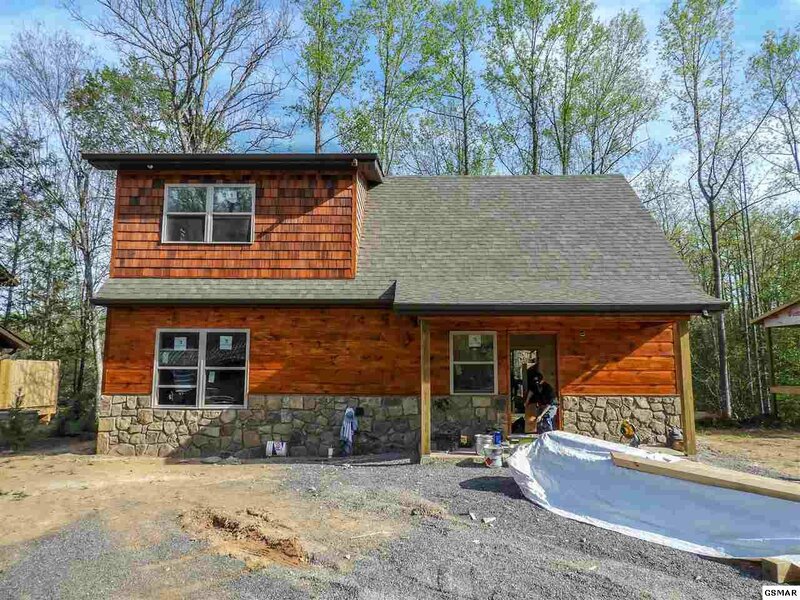 Cabin is sold with a 1 year builder warranty.